Nespresso Inissia Vs. Pixie – Which One Is More of Your Taste? Coffee is no longer just a warm beverage that is used as a fuel for the working population. It is a drink highly enjoyable both when we are alone or in the company of friends and family. 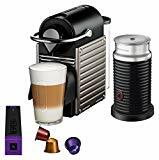 Wanting to have a sip of some high-quality coffee usually meant going to a coffee shop or a cafe, but with the rapid development of Nespresso coffee machines, we can now own a professional, home coffee maker. Choosing the best espresso machine led me to two similar products from Nespresso family, The Pixie and Innisia. but they do have some surprising differences. 24-ounce water tanks – not too big, but for a single-serve machine, they are large enough, so you don’t have to refill it every single time you use a machine. BBoth exclusively uses Grand Crus Nespresso capsules. There are attempts to fill your own capsules, but for the best taste and product quality. I would recommend getting the Grand Crus. 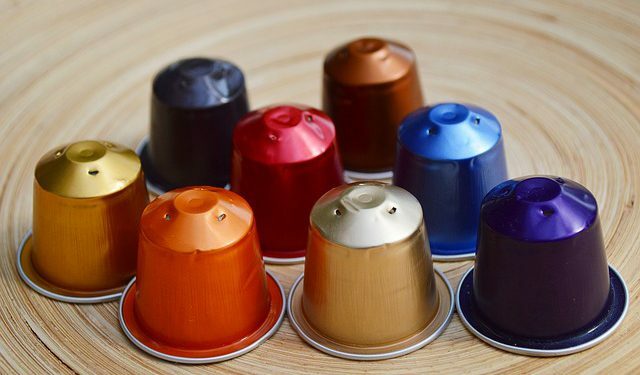 There are 16 different capsules that produce different flavors and colors of espresso. 2 operation buttons – (single shot) and lungo (double shot). There are capsules that have lungo on them, and they are designed specifically for making a double shot espresso. 19-bar pressure pump which meets and exceeds the amount of pressure required for an espresso. The result is a nice layer of crema. Adjustable, folding drip trays that can hold larger mugs. Removable trays to empty the capsules. They can both hold 9-11 capsules, and the receptacle cleanup is easy and fast. Both brew good, tasty espresso shots. Easy to brew using a handle, not loud, but fast with around 25 seconds of brew time. Both will be ready to fill up to nine single cups of coffee before refilling the tank. The style – Pixie has a striped side and a metal, industrial color look. It has a plastic exterior, but it is still quite sturdy. Some may take this into consideration when they choose between the two To me personally, it does not make such a big difference. The Pixie has a power button on the back while Inissia gets started pressing a brew button. You use the same button on Pixie to turn it off while Inissia has an automatic power off after 9 minutes of inactivity and it is a power-saving product which has an A-Class energy rating. 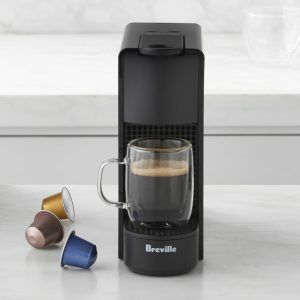 The price difference – Pixie’s $229 retail and Inissia $99 which aim to be this very budget-friendly, home making coffee machine. However, Pixie is made in Switzerland, while Inissia is made either in China or Romania. This is something that matters to most people, but knowing that something was made in Switzerland does not necessarily mean to me that it is of a higher quality. It only means that they had to pay more for the product to be made, and it costs more as a result. It has 5.3 pounds in weight. and 12 cm breadth which means it is light and compact. This is one of the lightest in the market. It has a lid and drip tray to prevent unnecessary spillage and enable making multiple cups of coffee easier. It offers value for money. When you put into consideration all the features and services you get from the Inissia and compare that with its price, then you realize that the machine is a must-have. Only hold 700ml of water which is not enough water for a small family of four. It is limited to the Nespresso pod system which means that you can only use capsules made by Nespresso. The machine’s features do not allow one to make and produce coffee in different tastes or flavors. The programming feature lets you set the Nespresso Pixie and then walk away. This is a very basic machine that doesn’t have a lot of extra features. Inissia is a very budget-friendly, single-serve machine for your own coffee home shop. Although it’s a new product, its design is nowhere near complicated. When you purchase it, you get a set of Grand Crus capsules with different flavors to sample and choose the desired one for your future use. Although the exterior is plastic, the handle which controls the capsule placement and extraction is metal, which is the crucial part. The temperature of espresso is 180F once it comes out, which is more than hot enough. Pixie is called pixie for a reason. Takes no room but does a great job as well as its new family member Inissia. There is not a filter in the water tank, so you might want to use filtered water with your Pixie machine. These machines primarily make espresso. You can make different coffee drinks or an Americano, but not regular coffee. 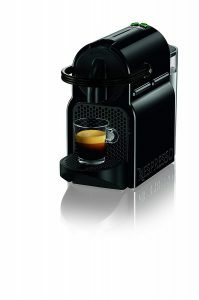 For making a cappuccino, mocha or a late, it is quickly done but requires buying a Nespresso Aeroccino accessory. In addition, both machines use Nespresso coffee capsules. You simply insert the capsule into the machine and select your cup size. The flavor of these machines cannot let you down. You do have to choose your capsule to satisfy your flavor profile, but the overall quality of the shot is great. A little dripping does happen, so just do what I do and simply wait a few seconds once it finishes getting all the liquid into your coffee mug.